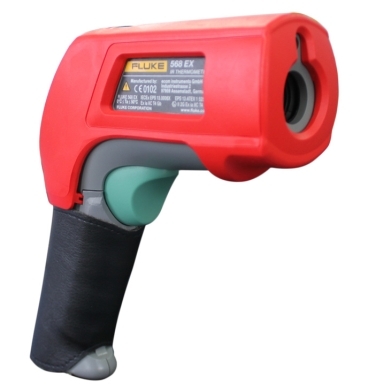 This intrinsically safe Fluke 568 Ex infrared thermometer is the ideal companion for taking complex measurements in hazardous areas easy and efficient. Due to the ergonomic and rugged design, even in harsh environments the 568 Ex is the ideal device. The thermometer can be used to capture and recall up to 99 values at one time. The adjustable emissivity feature allows you to take readings from a range of different materials during your round thanks to the integrated material table.